Your legal rights and obligations when you’ve entered a contract. Bought something from the dairy lately? Hired a plumber? Booked a motel? If you did, you entered a contract. You, and the person you dealt with, have legal rights and obligations. And the agreement you made can be legally enforced. There’s no backing out now. and you promise to give something - usually money - in return for what you're getting. The legal term for this promise is "consideration". Generally, contracts don't have to be in writing. A verbal agreement is binding, but you can save yourself a lot of hassle by writing it down: if things go wrong, how do you prove the terms of a verbal contract? Putting the contract in writing also makes sure you both understand exactly what's being promised before you agree. Watch out for marketing people who phone you. We know of cases where people have had their power supply or phone switched over to a new company, and they didn't realise they'd agreed. If the company can't provide a recording proving you did agree to switch, you can demand to be switched back. Some contracts have to be in writing, including credit contracts, insurance contracts, agreements to buy and sell real estate, and agreements to buy cars from registered dealers. What does my contract mean? When you enter a contract, you're bound by everything you've specifically agreed with the other person or company. You might also be covered by terms and conditions that weren't specifically mentioned but are, nevertheless, assumed under the law to be part of the contract. For example, if you go to an appliance store and buy a new TV that turns out to be faulty, you're entitled to take it back. You don't need to have a specific agreement from the store that it will work. The Consumer Guarantees Act requires that goods and services should be fit for the purpose they're sold for, and that promise is assumed to be part of the contract you made when you bought the TV. Another example is where you buy a phone card. The card directs you to a website for the full terms and conditions. If the supplier can show that the terms and conditions were available before you bought the phone card, then you are bound by them. However, if you couldn't read the terms and conditions until after you bought the card, then in our opinion they're not valid. 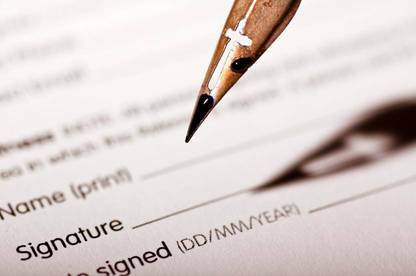 Standard form contracts are commonly used by businesses that provide services to large numbers of customers. Your dealings with your electricity company, your insurer, your bank and so on are governed by this type of contract. They are offered on a "take it or leave it" basis - you won't be given the opportunity to quibble over details you're not happy with. Commonly, these contracts include a clause giving the company the right to alter the terms and conditions as they see fit. This is why your electricity company can put up its prices and your cable TV company can change the channels available on your plan, even though you haven't "agreed" to it. Once you've entered into a contract, you're generally stuck with it. You can only back out or change the terms if the person or company you're dealing with agrees. Say you've just been shopping and, on impulse, bought yourself a new jacket. But, because you later decide you don't like the colour, or can't really afford it, you can't just take it back. You've entered a binding contract with the shop. Despite what many people think, you don't have 7 days to change your mind and return it. If you borrowed money on a credit contract, you can cancel the contract any time during the first 3 days. If the contract was a hire purchase agreement for your new DVD player, and you've already taken possession of it, you can get out of the credit agreement but you've got to keep the DVD - and pay cash for it. If you haven't taken possession, you can cancel outright and pay nothing. If you're buying a new dress or anything else on layby, you can cancel the layby arrangement at any time. Usually, you'll get most of your money back. Under the Contract and Commercial Law Act, minors can sometimes avoid their responsibilities under a contract. A contract that is not "fair and reasonable" can't be enforced against someone younger than 18. Ever found an absolute bargain, only to be told when you get to the shop counter the price was a mistake? The only exception is if you knew the price was a mistake, but took advantage of it anyway. Under the Contract and Commercial Law Act, a court could require you to pay the correct price. For example, you go to buy a jacket for $300, but the shop assistant only types $30 into the eftpos machine. You notice this but continue with the purchase, hoping to get away with it. If the shop contacts you later once they realise the mistake you have to pay them the difference. Shops can't deliberately display the wrong price in order to entice customers in. That would breach the Fair Trading Act, which bans misleading advertising. Explanations of some common legal terms associated with contracts. When someone doesn't fulfil their part of the contract. Money paid over to compensate for a breach of contract. For "special" damages, you have to prove the exact amount the breach cost you. "General" damages cover things that can't measured, such as distress, humiliation and inconvenience. This is when the contract can't be carried out because of circumstances beyond everyone's control. Say, for example, you hire the local church hall for your wedding but it's struck by lightning and burns down. If that happens, you don't have to pay but you can't sue the church for damages. If you write a letter accepting an offer, the contract applies as soon as you put the letter in the post. The only exceptions are if you were specifically asked to accept in some other way, or if posting a letter is unreasonable in the circumstances. If you accept by fax, there's no contract until the fax reaches its intended destination. The legal situation with e-mail is still unclear. This is the term for a court order telling you to follow the terms of the contract. We signed up a second In-charge employee for our new job that will commence on June 1st. Employment Agreement has been signed between the employee and us. We are just waiting for June 1st when we take over, however, our 2IC had decided not to take on the job anymore. What does the Law say on breaching signed agreements like this? Unfortunately this isn't something we can advise on as it relates to business employment and isn't a consumer issue. We'd suggest getting in touch with Employment NZ for assistance. Hi, We have a contract with a builder for a new build. The contract is between myself, wife and the builder. The builder is saying that he verbally agreed with my wife (not me) that an aspect was not to be part of his quote. He did not exclude this item on the quote in the special provisions part. This item was clearly supposed to be part of the builders scope but he is refusing to do it. He is lying when he says he made the verbal agreement with my wife. Hello, I have a question regarding "getting my deposit back and cancel my order". We had a photo shoot done, after the viewing session and the vanity rush, we went to order the package of 12 photos for $2000NZ. Minimum deposit was $100NZ and to complicate the situation we deposit $1000NZ CASH, signed a contrat saying no refund for changing mind. 3 hours after signing the paper, we changed our mind, with no product in our hands (no photo) we wanted to cancel everything. They haven't work on the photos, they haven't print anything. We were happy to pay for their time for the sitting session, but don't want to go with the full $2000NZ and would like to have the Cash deposit back. The general rule is that deposits are non-refundable. When you order goods or services to be paid for in full at a later date, you often have to pay a deposit. The deposit is a form of security that the contract to buy will go ahead. After the contract is completed, (usually when the goods have been delivered) you will pay the balance. •	ask whether the deposit will be refundable. If the trader agrees, this becomes a term of the contract. 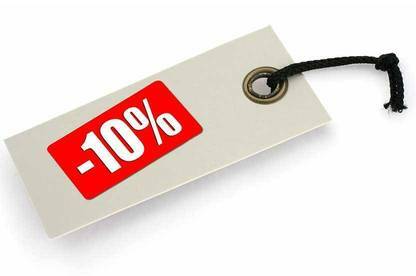 •	try to avoid paying a deposit of more than 10%. However, if the contract is for purpose-built goods such as kitchen joinery, a larger deposit may be reasonable. •	ask for a receipt showing the amount paid, the balance owing, and whether the deposit is refundable. •	if you and the trader agreed that a term of the contract will be that the deposit is refundable (in full or in part).